These days, in the age of Instagram when what you’re wearing this very minute can be broadcast across the internet, I’ve observed a noticeable shift where everyone has started dressing the same. It’s much easier to find out what stylish women are wearing across the globe and the specific brands they have on, which is great (and something I’m constantly doing myself). But as we start buying these pieces and replicating style ideas for ourselves, there is undoubtedly a sameness in fashion that follows. While I still take part in this shared fashion aesthetic, I have found myself increasingly eager to incorporate vintage pieces in my closet. Whenever I uncover something vintage, I feel particularly delighted as the proud owner of something unique and different. There’s something about knowing it isn’t available to the masses that lends a specialness to it. That being said, I don’t consider myself to be an expert at finding all the gems, so I was curious to tap fashion influencer María Bernad for her best vintage shopping tips. She has a particular mastery of uncovering truly beautiful vintage pieces and styling them in a way that mixes the romance of vintage with the trends of today. When I asked Bernad about vintage shopping, she agreed with me on a few points. “Vintage helps you create a unique style” she says—it allows you to curate a collection of unique pieces nobody else has. 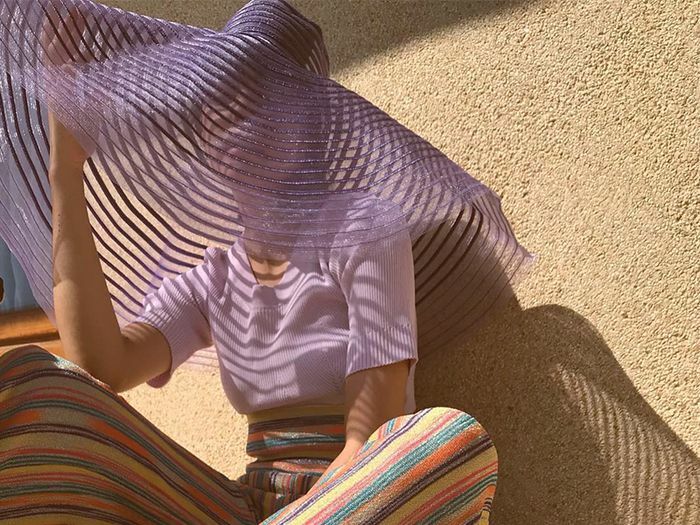 She went on to share her enthusiasm for finding pieces from another time, noting that “the fun thing about vintage is to mix and adapt vintage clothing to your own style.” Ahead, María Bernad is sharing her top five vintage shopping tips. Bernad suggests that vintage shoppers look for special garments. 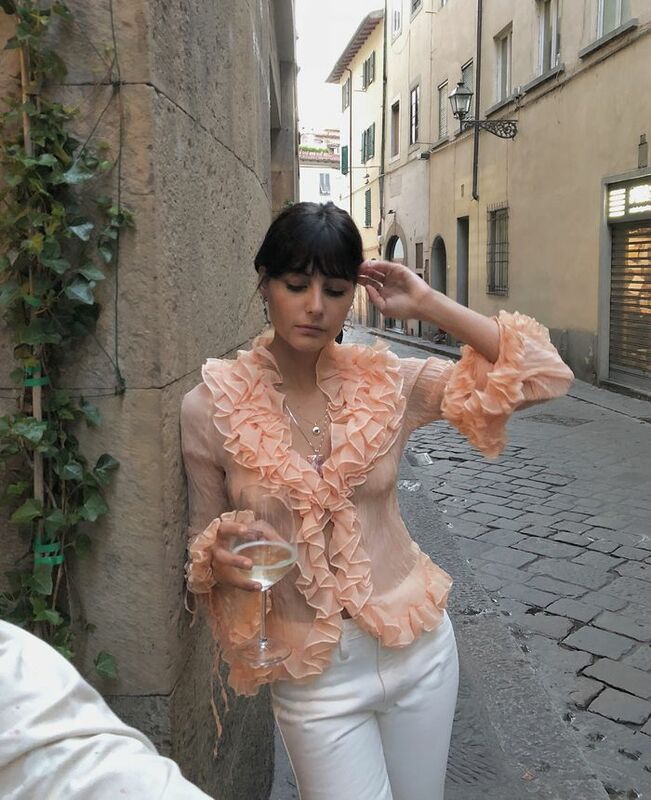 Standout pieces with details like ruffles and pearls are especially eye-catching. Bernad also emphasizes the importance of finding quality in the products. Pieces that are well-made from iconic designers is one way to be sure you’re making a wise investment. Another key tip? Bernad recommends knowing the colors of the season: “That way even though you’re buying vintage, you’re trendy.” Right now, that means bold shades like vibrant lilac and lime green. When it comes to materials, Bernad suggests looking for natural materials. From my vintage shopping experience, I know this is key. Skipping synthetics is an easy way to sift through cheaply made vintage clothes. Bernad admits that vintage stores can be a bit overwhelming. Her advice? “Focus on what you need or feel like.” Vintage shopping should never be draining. Next: 96 outfits to wear when you’re bored with your clothes.